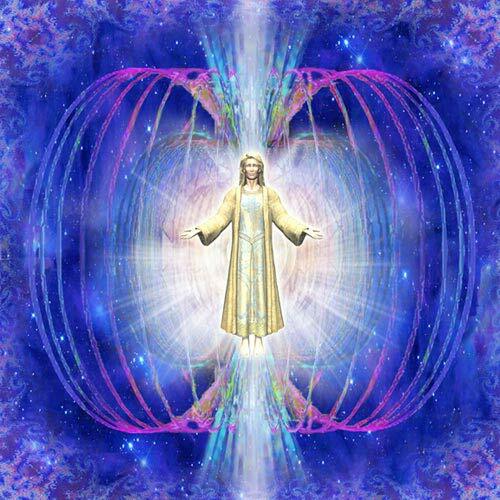 Electromagnetic impulses are the informational field of the outer world impressing itself inwards upon us. These impulses are the state of us receiving information about the world around us, the 'external' world. Our internal world is not connected in the same way and cannot be connected to through the same ways in which we approach the outer world. A lot of the rituals and ceremonies peoples have used to connect to 'spirit' throughout humanity's vast history are ways of approaching things differently, tools to change the ways of informational flow from electromagnetic fields flowing inwards, from out to in, to 'spirit' flowing outwards, from in to out. At this time humanity seems to be undergoing a massive energetic shift. Part of this energetic shift that we are undergoing is learning how to change our energetic informational flow from electromagnetic flowing to us inwards, from out to in, to our inner energies, some call this spirit, flowing outwards, from in to out. We've always done this to an extent, but rarely do most of us use this flow state as the source of our perceptions. Learning to activate our intuition, to 'connect to spirit', to access the 'Akashic records'... these are all states that this informational flow connects us to. Learning to see the structure of this fractal matrix we live within and see its energetic flow as opposed to just seeing the symptoms of that matrix as the electromagnetic impulses reflected back to us is what this shifting of perception does. To our logical mind this way of information flowing from inwards out to receive information can feel counter intuitive, this is why the logical mind can so easily shut this in to out informational flow down so effectively. The endless regurgitate training through the rote of our schooling system shuts this in to out flow down for most children. We are all born with this in to out flow being our natural state, but slowly as we get assimilated into this culture, through schooling and other forms of programming, this in to out informational flow is shut down in favor of the out to in flow of information. We very effectively learn to shut down our intuition and inner knowing, some to a greater extent than others. At this time, as we are undergoing this energetic shift, it is getting harder and harder for us to maintain this out to in informational flow as our main source of information and people are experiencing 'awakenings' which is simply a change in the state of their informational flow. I quite regularly hear people worrying about 'if they are crazy' as they are experiencing this awakening, this shifting of informational flow, and worrying that others are thinking they are crazy. But you that are experiencing this have truly never been less crazy. It is the disconnected state of the world that we live in that is crazy. Waking up to the nature of your energetic self is far from being crazy, this amazing experience is your beautiful emergence from a cocoon you didn't even know existed. It is important to gather in like minded groups at this time, to foster this informational flow state shift together, because it helps us to accept this shifting and realize that we are not crazy and we are not alone. This coming together with like minded people shows us that we are the way showers in this time of great shifting. You are so important, you are so amazing, and you are so deeply needed. It is important to come together at this time. Join us at a Sound Healing Journeywork workshop, or find another group active in facilitating this energetic shifting. It is important to be with like minded people to make this shifting easier, and so much more fun!